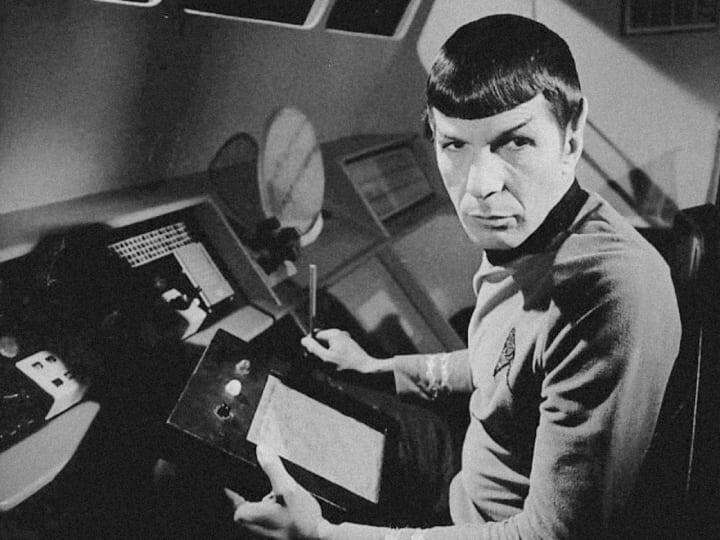 Mr. Spock browsing the web on his tablet device. Photograph: NBC Television. Given a maturing specification, and related concerns regarding browser support and compatibility, I had largely been ignoring CSS Flexible Box Layout. Yet with support for this module — aka Flexbox — currently hovering around 96% (82% if using un-prefixed values) there’s little excuse for developers like myself not to start using it. Like getting to grips with any new tool, only by using it for real can its various nuances and limitations be understood. Finally able to discard the many counter-intuitive hacks I’ve gathered over the years, I find it hard not to create a flex layout without wearing a broad grin. Vertical centring? Easy. Equal height columns? By default. While Flexbox may not be suitable for every situation, it solves a great number. And with CSS Grids just around the corner, web layout nirvana feels pretty damn close. Flexbox introduces a number of new concepts, be they the main and cross axes, or the various justification and alignment properties. Mozilla has a good overview, but I’ve found the guide on CSS Tricks to be the most helpful. I suggest reading up on these terms if you’re unfamiliar, before continuing with the rest of this article. Here, I want to draw your attention to two particular values used by Flexbox: flex-start and flex-end, terms that appeared fairly abstract until I needed to create a layout that would support both left-to-right and right-to-left languages. As it turns out, browsers do a lot of the heavy lifting here, be it via the dir attribute, or the <bdi> and <bdo> elements. However, this native functionality can easily be undermined with a few carelessly applied CSS rules: add text-align: left to a passage of text, and it will appear left aligned, no matter what the document’s text direction has been set to. Having briefly immersed myself in the world of internationalisation, much like seeing a width defined in pixels, I no longer see physical positioning keywords like left or right without knowing a series of assumptions have been made. Thankfully, because Flexbox uses the logical values flex-start and flex-end, any layouts created with it will automatically align according to the document’s text direction. Our header, with the site’s name on the left, and navigation items to the right. By giving the containing <header> the rule display: flex, its children will appear alongside each other in the same row (flex-direction: row is the default value for a flexbox). To move the navigation to the right, we can use Flexbox’s best kept secret: by applying margin-left: auto to the <nav> element, its left-hand margin will take up the remaining space, thus pushing it all the way to the right. Our header as it appears when text direction is set right-to-left. Because the left margin value hasn’t changed, the navigation will still be pushed as far to the right as it can go. What we actually want however, is for it pushed as far to the left, so that the header’s layout is now flipped. Because there can be multiple children in that axis. The *-self properties only work if the child is all alone in that axis. When there are multiple boxes to be aligned, they can only be aligned en masse, with the *-content properties. Thinking both axes were equal was to have the wrong understanding of how Flexbox works; a difference that becomes clearer once you consider that items along the main axis can also wrap. Our header now appears correctly when text direction is set right-to-left. Including a [dir] selector in every rule featuring physical values soon makes our CSS overly verbose. Enter the CSS Logical Properties module. Rather than use physical left or right values, this module allows us to use values similar to those we’ve been using in Flexbox. Going back to my earlier example, instead of writing text-align: left we can write text-align: start — a value that already has good support across most browsers. Currently, logical properties are only fully supported by Firefox (41.0+), while support in other browsers is either patchy or non-existent. That said, Autoprefixer will add the relevant -moz- and -webkit- prefixes for the corresponding proprietary margin and padding properties in those browsers, while Microsoft considers implementing these properties a high priority. Until support improves, I’ll just cringe a little whenever I see the words left or right in a CSS file, and add physical positioning to my growing list of things I won’t take for granted when building a website. Update 1: Many thanks to Jonathan Garner for pointing out that I can push the site name and navigation apart by adding justify-content: space-between to the flex container, thus avoiding the need for any positional values, physical or logical. As is so often the case, there can be many means of achieving the same objective, but Jonathan’s solution is certainly the most sensible. Still, with auto margins a key component of flexbox layouts, the issue doesn’t go away entirely. Update 2: Chris Minnick at Webucator has recorded a video tutorial based on this article.